Double Sided Vinyl Banner is a heavy-duty 18 oz. matte finish, scrim vinyl material for indoor as well as outdoor usage. Its uniquely woven 1000 x 1000 scrim provides strength and stability under harsh weather conditions and makes it an ideal material for long-term outdoor usage. 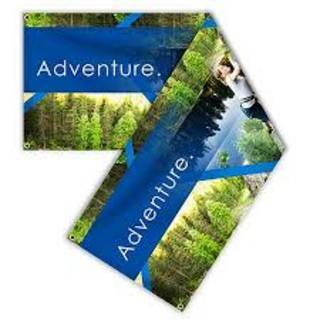 Double Sided Banner is designed for printing on both sides of the banner.